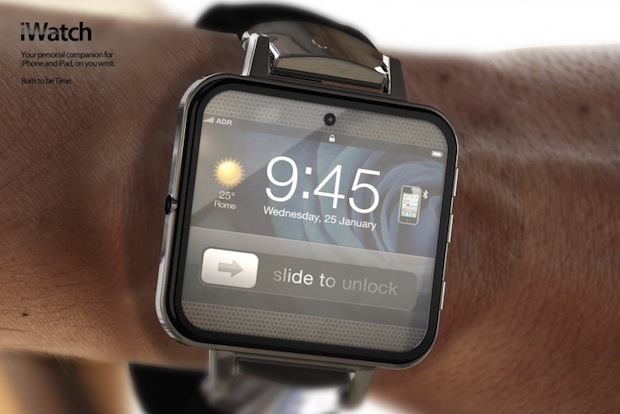 Earlier today Apple got the green light on their patent for their long rumored smartwatch. Keeping with the branding of Apple’s flagship devices and services, the identified “mobile electronic device” was called “iTime” in the patent. Rumors of the device have been swirling for along as long as the patent was originally filed—July 2011. It’s expected that consumers could see the smartwatch around October which would put it a bit later as to when the iPhone 6 is expected to hit store shelves. The October release would put it just shy of when the U.S shopping season really kicks off. The patent details the functions of the iTime stating that it will be able to work in tandem with computers, tablets, and other devices—as is expected. It will also allow consumers to check messages as well as get weather and time without removing their phones from their pockets, purses, holsters, or wherever. Apple will be entering waters that have been occupied for some time now. Name brand smartwatches from competitors Samsung and LG were announced not too long ago while others have been in the market since earlier in the decade. While the concept isn’t exactly new—there are a couple of smartwatches in marketplaces such as eBay and Amazon—it can be expected that Apple will put their unique stamp on the device whenever it hits shelves.